I interviewed Dr. Kris Olsen from the McMinnville (Oregon) School District about the Bond Initiative for 2016. Don’t have time to watch the video? Take us with you on Soundcloud, or listen in on your mobile device! Dr. Olsen discusses the new McMinnville School District Bond, how the Long Range Facilities Task Force came to the decisions on the bond, and what the community should know about this bond. Some of the questions we will answer: Why not a second high school? What will the overall impact on property taxes be? Why doesn’t the state provide funding for facilities? What type of opposition are you hearing and what is your answer for that? There is a PowerPoint presentation for the audience to follow along with if you wish to do so. Unfortunately our program does not allow for screen sharing (yet) but the PowerPoint can be found here. 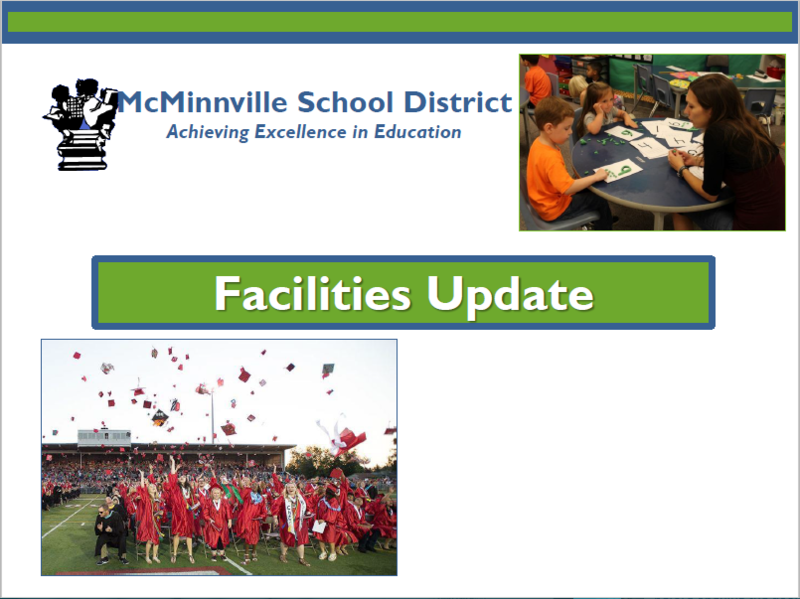 Make sure to visit the McMinnville School District website for information and updates. There is a Town Hall scheduled for the evening of March 10th. More information on that meeting can be found here. I would also love your feedback on what types of programs you would like to have presented in the near future. Who do you want to hear from, what questions do you have that we can find the answer for you? Do you want to be interviewed as well? Please email nknottingham@mcminnville.org with your suggestions and queries.